BEIJING—Thirty-five restaurants across China, including a popular Beijing hot pot chain, have been found illegally using opium poppies as seasoning, one of the more unusual practices bedeviling the country’s food regulators. Five restaurants are being prosecuted while 30 others, ranging from Shanghai dumpling joints to noodle shops in southwestern Chongqing, are under investigation, said the China Food and Drug Administration. Cases of cooks sprinkling ground poppy powder, which contains low amounts of opiates like morphine and codeine, in soup and seafood are not new in China, though it is unclear whether they can effectively hook a customer or deliver a noticeable buzz. Shaanxi provincial police busted a noodle seller in 2014 after being tipped off by a failed drug test. Seven restaurants were closed in Ningxia province in 2012 for using the additive and Guizhou province shut down 215 restaurants in 2004. 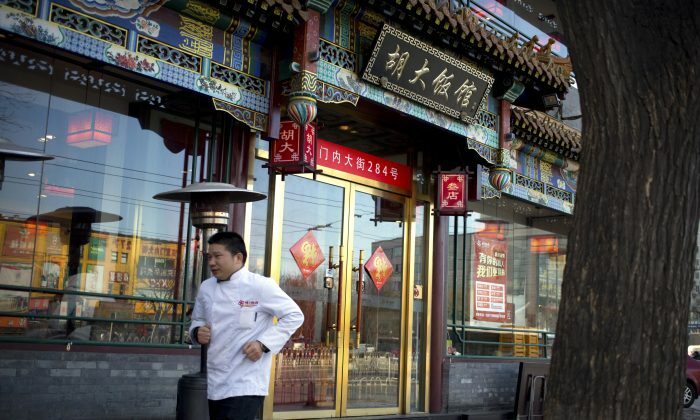 Hu Ling, the general manager of Hu Da, a popular chain with several adjacent locations on the raucous Beijing nightlife strip known as “Ghost Street,” confirmed on Jan. 22 that the company was under investigation, saying it may have unknowingly sourced seasoning containing opiates. She declined further comment. Poppy powder, made from capsules and shells that contain higher opiate content than the seeds commonly seen on bagels, can be easily purchased in markets in western China for about $60 a kilogram, according to a 2014 report by the state-run Xinhua news agency. The additives were commonly mixed with chili oil and powders, making detection difficult without laboratory equipment. Despite pledges from the government to improve enforcement, Chinese consumers perennially face high-profile food scares, ranging from tainted baby milk to fake meat and fruits to seafood pumped with gelatin. The country’s food safety problems spilled beyond its borders in 2014 when a Shanghai-based supplier to companies including KFC, Starbucks and MacDonald’s was found selling unsanitary and expired chicken meat.